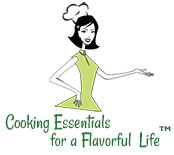 I ate a food grade cricket last year at the International Food Bloggers Conference in Sacramento. 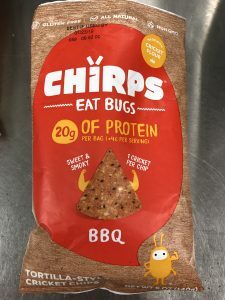 After you get over the initial thought of munching on a cricket –legs and all, it simply tasted like sunflower seeds with a crunch. This past week I purchased cricket based snack chips at my Fry’s grocery store. 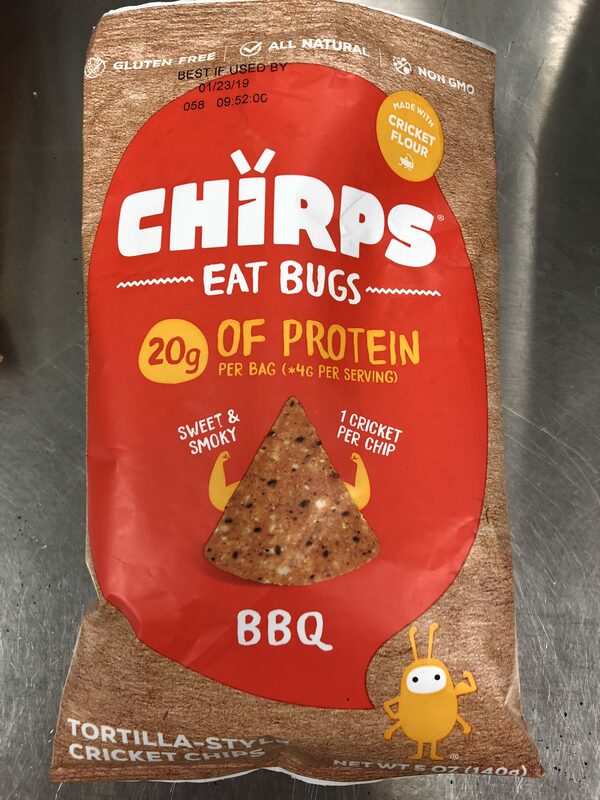 Each chip contains a whole cricket. My nutrition students tried them and the general consensus is that they taste like chips. The come in two flavors, BBQ and Cheese. Go out and look for the “Chirps”. Bon Appetit!